Photography has been a passion of Steve Golder since the age of 16, when his father lost interest in using the Nikon F-5 he had purchased to document cosmetic results of cases from his general surgical practice. Given free use of the camera and all the film his dad could purchase, Steve began experimenting with photography and has been toying with it ever since. Willie Nelson was once asked where he finds the ideas and melodies for all of the songs he writes. His answer was that they are simply “out there…” floating on the air waiting to be grabbed up and written down, and this is just how Steve finds photographic inspiration. There is scarcely a place or a time that he hasn’t tried committing to a visual posterity. Steve enjoys seeing the world through the creative eyes of a photographer, always looking for that special moment where the interplay of light, shadow, form, line, color, shade and reflection comes together to create an image he can capture and share. This is sometimes accompanied by the groans of his long-suffering family (who wait patiently through the process), but they agree: the time and consideration he puts into his work make his images worth the wait. Steve’s images range from the highly abstract and impressionistic to the very traditional and representational. His images are intended to bring to the viewer a different perspective of something at once familiar and at the same time, somehow, obscure. 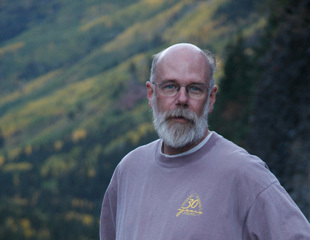 Steve is a convert to Catholicism and is a member of Our Lady of the Mount Catholic Church in Lookout Mountain, Georgia. This on-going project is born out love for the One, Holy, Catholic, and Apostolic Church and is dedicated to and inspired by The Holy Spirit, often felt in the loving presence and guidance of his wonderful bride without whom this work would not exist.